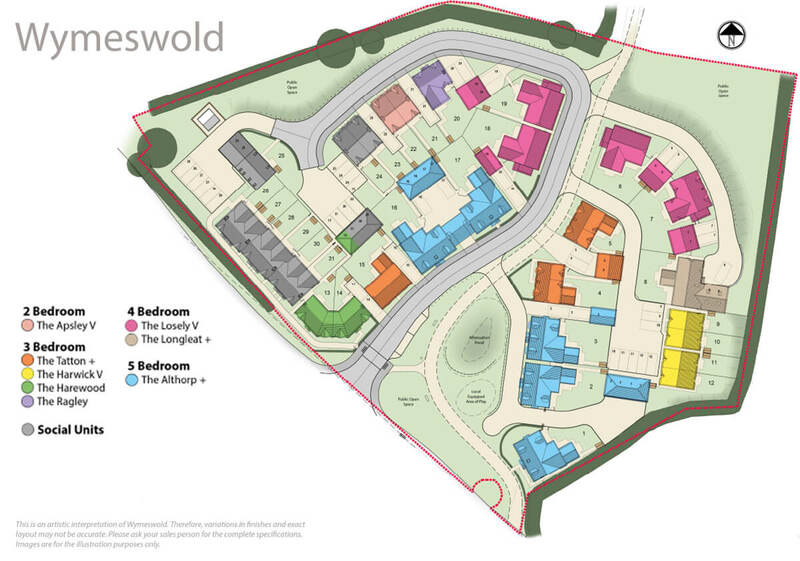 Storkit Meadows is a charming development of eight different house styles. access to the M1, A6 and A46. Leicestershire with the countryside on its doorstep, Loughborough is nearby and the cities of Nottingham and Leicester within easy reach. Wymeswold village offers residents an array of facilities. There is a convenience store for all essentials, a pharmacy and boosts three popular pubs. Although this traditional village looks and feels very rural, the cities of Nottingham and Leicester offer access to business, wold cuisine, vibrant nightlife and renowned shopping facilities. Excellent access to the M1, A6 and A46. Wymeswold is approximately 10 minutes East of Loughborough, 25 minutes South of Nottingham and 25 minutes North of Leicester. Airport just over 20 minutes’ drive away. This charming village has all the amenities that you would expect to find in a rural village including village shop for all essentials, an out-reach post office open twice a week, pharmacy and friendly village pub. There is also a village hall, Methodist Church and a Church Of England. Wymeswold is approximately 10 minutes east of Loughborough, 25 ,minutes South of Nottingham and 25 minutes North of Leicester. Stamp duty paid on this plot! 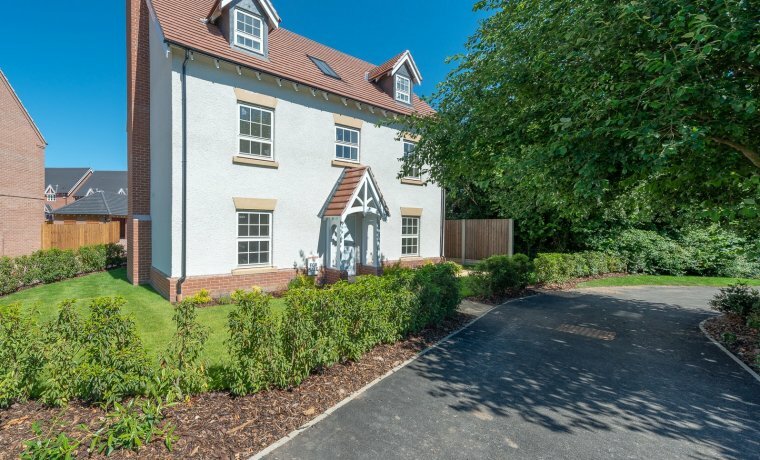 The specification is testament to Barwood’s assurance of the highest quality finish to every plot, ensuring that your new home will not only provide you with a practical and stylish layout but flexible living to suit your lifestyle. Each Storkit Meadows new home has a thoughtfully designed kitchen layout, created by a specialist designer to ensure a stunning environment and focal room in your new home is achieved. Every purchaser (*subject to build stage) is able to select the cupboard unit doors and the handles. Further personalisation is offered (*subject to build stage) from a vast selection of ceramic and porcelain floor tiles to all kitchens and utility rooms to complete the stunning look. The Laufen Pro-S Sanitary ware, highly regarded for its excellence and high quality designis fitted as standard to all bathrooms, ensuites and WC’s. Thermostatic showers are complimented with chrome taps and towel rails to create a modern look. An enviable range of porcelain and ceramic wall and floor tiling is available. 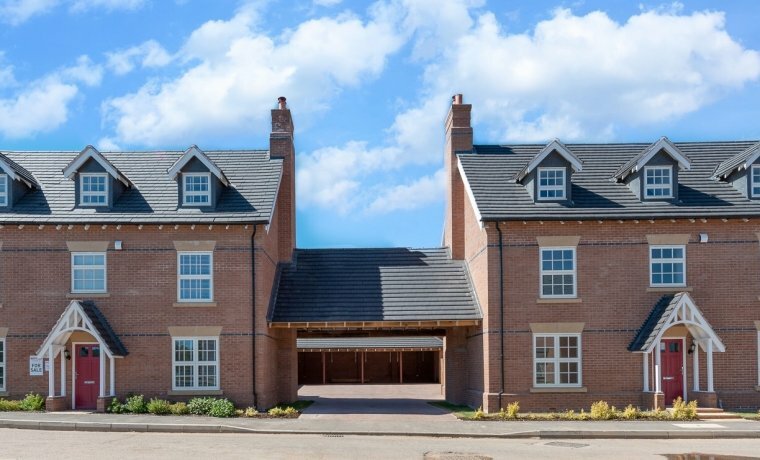 Each new home is constructed in either red brick or natural stone, with some plots finished with white render . The roofs are constructed of either grey slate or a mixed russet colour ensuring a similation with the village surroundings. Every home is landscaped with ornamental planting to the front o f the plot and the rear garden is fully turfed. Individual driveways will b e block paved and each plot boundary is secured by 1 . 8 m close boarded fencing with a gate for access to the rear garden. House type specific electrical and heating lay outs are designed by specialist consultants . Plans are provided to denote the location of radiators, light switches and electrical socket s.
The lounge , kitchen and all bedrooms are fitted with a TV point. The lounge, master bedroom and study (*where applicable*) are all fitted with a BT point. External light is fitted to the front elevation and wiring for a future light is included to the rear elevation. All windows are timber framed construction. Ogee profile skirting and architrave is fitted. White, smooth, four-panel internal doors with polished chrome lever on-rose furniture is fitted. The front door will be painted in Farrow and Ball paint. All ceilings are painted white as standard. Internal doors, skirting boards and architraves are all finished in white satin wood paint. A Barwood home is not just built for today, but designed as a permanent enhancement to the villages and towns they are situated in. This is achieved by our commitment to excellence in design, sensitive landscaping, sympathetic restoration, and addressing the needs of not only our customers but their neighbours and also the wider community. Every detail and aspect of what we do as been carefully thought through to deliver the best design and quality on all our homes. Barwood’s quality is evident not only in the finished product but attributed to the skilled professionals involved in the overall process.